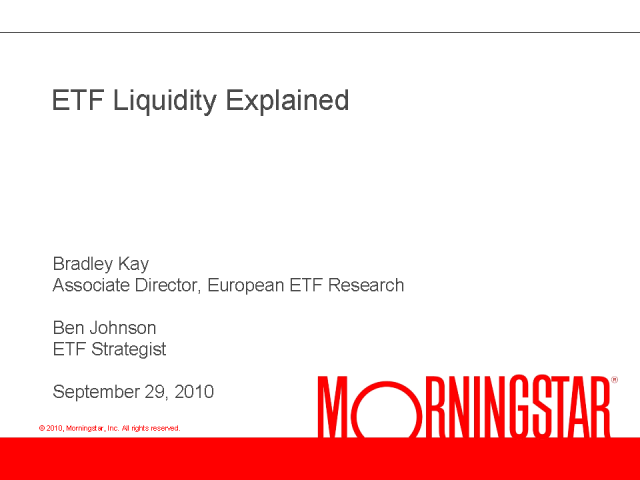 Morningstar invites you to join our analysts to discuss ETF liquidity. * How can you measure liquidity with readily-available data? * How worried should you be about dealing in less liquid ETFs? * How can you get good trade execution on exchange? * When might it be necessary to engage a market maker? * How can you estimate indirect costs of illiquidity?